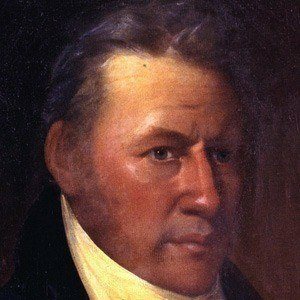 Kentucky politician who was a staunch supporter of the abolition of slavery, and ran as the abolitionist candidate for president in 1844. Though surrounded by anti-slavery friends and relatives, he did not adopt their views during his childhood. His attempts at getting slaveowners to emancipate their slaves were very gradual - for example, exacting promises from them to free their slaves' children when they turned 21. He was born into a wealthy, slaveholding Irish family, in Danville, Kentucky. His son David served as a Union general under Ulysses S. Grant in the Civil War.